Disclaimer: AdderallJunkie.com does not endorse or advocate the use of misbehavior or any form of legal or illegal drugs. Please seek professional medical advice before consuming adderall. Please don't sue me. 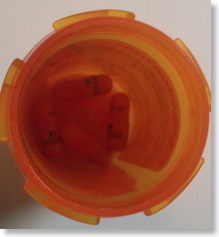 The adderall shortage will continue in 2012 and I doubt it will lessen up anytime soon. The New York Times reported that the FDA has recently added adderall to its official drug shortages list. You’d think that it being February of 2012 that pharmacies would have their shelves stocked with inventory. But that’s not the case. 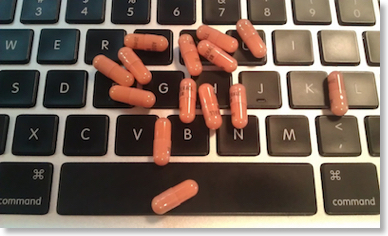 There are a few different stories as to why there is an adderall shortage. Some believe that the shortage should be blamed on the amount of people being diagnosed with ADHD and being prescribed medication for treatment. According to the Centers of Disease Control and Prevention, as of 2007 about 9.5 percent, or 5.4 million, of school aged children were diagnosed with ADHD. There has also been an increase of 13.4 percent in adderall prescriptions from 2009 to 2010. Reuters reported that during 2009 to 2010 more than 18 million prescriptions of adderall were written. The increase of people being diagnosed with ADHD and being prescribed adderall (and without getting into all the reasons why more people are being treated for ADHD) should trigger pharmacies to add more shelf space for product. But that’s not the case. The DEA sets manufacturing quotas and limits for drug ingredients to be used for certain prescription drugs. With these limits, the drug manufacturers cannot meet the growing demand because the DEA does not allow them to utilize all available API (adderall’s active pharmaceutical ingredient aka mixed amphetamine salts) to produce more supply. DEA spokeswoman, Barbara Carreno, told Reuters that hundres of drugs that do not require a DEA quota, are also experiencing shortages. However, these shortages are not caused by quota limits, but marketing ploys by drug makers. But it’s not like Special Agent Gary Boggs or DEA spokeswoman Barbara Carreno are standing in the pharmacy line with their fingers crossed praying that their prescribed medication is in stock are they? No, probably not. The ones that are suffering are thousands to millions of people ranging from children, students, adults to executives who are not able to get their medication filled. This concerns me and concerns others as well. FINALLY SOMEONE SAYS IT LIKE IT IS! The Adderall shorage is now spilling over into other ADHD medications, such as Ritalin and Vyvanse because doctors are switching their patients off of adderall to other medications used to treat ADHD, because adderall is in such demand. The adderall shortage will continue to be a problem until the DEA and manufactureres figure out a solution and stop pointing the blame at one another. With the quota system the drugmakers receive enough material to produce the DEA’s estimate of what they believe are the needs of American patients, without enough material to build inventory. (The DEA doesn’t want companies or users of stage II drugs to build up an inventory because of the likeliness of abusing the stage II drug.) The DEA points its finger at the manufacturing company for it’s marketing decisions and not themselves for releasing an insufficient quota. Adderall manufacturers are producing as much product as they can to meet demand, but say that with the imposed quota, the DEA does not always approve enough material in time for them to produce product to supply their customers. So where does the DEA get it’s quote from? They set an aggregated quota at the beginning of each calendar year, based on past years quota levels, inventory levels and company sales forecasts. Cabrey also said that Shire suffered shortage of Adderall XR, it’s extended release adderall drug, because of the DEA’s quota. “It was directly related to the API quota,” said Cabrey. It generally takes Shire 3 months to produce adderall, from the time the DEA releases more product to the manufacturer. This 3 months delay makes it extremely difficult for those who need the product. 3 months without their medication can be very detrimental to someone’s life and overall well-being. Amy Alkon, 47, began taking adderall for her ADHD about 6 months ago after Ritalin was no longer working for her. Alkon told Reuters, that adderall has changed her life. Taking adderall makes it easier to cope with her ADHD, by allowing her to organize her thoughts and take control of what she calls a “tornado” of activity in her brain. If Alkon can’t find adderall in one of the largest cities in the country do you think middle America has an even remote chance of getting their medication? Probably not. The DEA believes that their quota for 2011 was sufficient, although I completely disagree along with 1,000’s of my twitter followers who spent too long searching for adderall instead of consuming it. Let’s hope that the DEA and drug manufacturers work together to find a solution. The countries adderall shortage needs to come to an end immediately. Too many students GPA’s depend on it.